Hello everyone! My name is Hillary and I am overjoyed to be a new voice here at Unsealed. While I love to study and write about eschatology, I am most passionate about the gospel of grace and encouraging the body of Christ in these last days. You will begin to see more from me soon, but first I want to tell you a little about who I am and how I came to understand the lateness of the hour. My mother tells me I accepted Jesus when I was 3 years old. I love knowing that something in me responded to the gospel at such a young age, but I have no recollection of doing so. What I do remember is sitting at my family’s dining table at six, bawling my eyeballs out as I begged forgiveness of my sins and asked Jesus into my heart. A red-faced baby brother, in the arms of my mom, hollered with me in the background. I can still see that moment. I can feel it. 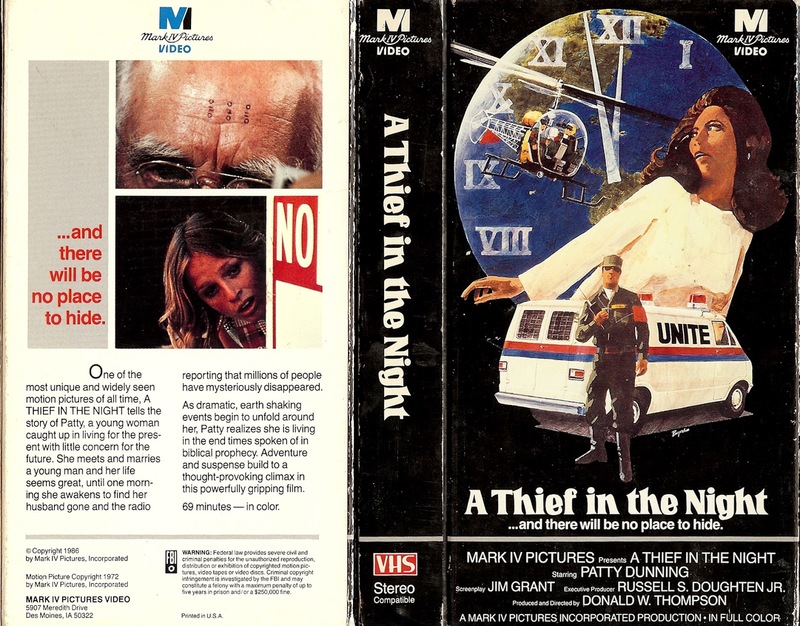 At the ripe age of 7 I sat in a pew at a local church for my first exposure to all things apocalyptic: a viewing of the infamous 70s film Thief in the Night. Fear took root in me that day, fed and watered over the next several years by personal family beliefs that the rapture was not biblical and we would have to endure the tribulation, avoid the mark of the beast, and be killed for our faith. I did not know anything about true grace. An unshakeable paralysis was born in my youth that continued for many years. In my teens, futility & depression nearly had their way with me, because what was the point of anything? All of my dreamy creative dreams were foolish and had no place in an apocalyptic world where there was no room for reading novels or wearing custom-designed dresses or planning beautiful weddings or decorating homes or anything other than sheer survival. Writing stories was stupid. Hoping to get married was stupid. Sewing pretty things was stupid. Learning to play guitar was stupid. But learning what native plants were edible? Learning how to live without electricity? Reading about how Corrie Ten Boom hid Jews from the Nazis? How to be faithful unto death? All of these were important. All of these things would be useful to know during the apocalypse. I finally reached a point where I realized I was either going to die in the tribulation or die waiting for the tribulation. As a perfectionist who very much wanted to please God and my family, I never experienced the typical teenage rebellion that some do, but at nineteen I thrust everything end-time-y out of reach and refused to think about it for almost twenty years. It was the Revelation 12 sign that called me back. Rather, God used the Revelation 12 sign as a gentle hand placed on my sleeping shoulder to say, wake up and watch, love. It’s time. And the time came to heal the fear from my childhood. “Have you heard about that star?” My mom asked. It was late autumn, 2016. I found Scott Clarke this way, looking up Revelation 12 on the Internet. It’s how I found Unsealed. It’s how a door splintered open for a flood of healing—healing of my theology, of my fear, even healing how I read and understood the Bible. What feels like twenty years of Spirit-led seminary (admittedly, spoken somewhat naively) were condensed into less than six months. I lived in Unsealed’s archives. I hung on every word in Clarke’s videos. I discovered Robert Breaker and devoured hours and hours of teachings on how to rightly divide, and Scripture came alive to me. I bought a new Bible and read the entire thing, parts of it multiple times, in less than three months. Without using pre-conceived doctrines of man, the Lord showed me through Scripture how we are not appointed to wrath and that Israel is about Israel and the Church is about the Church and one day, after we are gathered to Him, He will turn back to Jacob to complete all He has promised. Amazing what a Spirit-led study of eschatology—not with a spirit of fear but with power, love and a sound mind—can reveal! I’m humbled and grateful to the Unsealed team who have blessed me so much over the last year or so and who have made space for me to be among you. I am not here as a teacher, but as a fellow watchman. I am a humble daughter of the Most High who longs to encourage and bless the body as we look for and yearn for our Lord’s appearing. I’d like to close with this. In these last days of the age of grace, as we watch and discern the signs and season, it's important to remember that we wrestle not against flesh and blood, but against principalities, against powers, against the rulers of darkness of this age, against spiritual hosts of wickedness in the heavenly places. I have read & recorded it and hope it brings peace and comfort to you. (For best results, listen with headphones or earbuds.) God bless you, dear brothers & sisters! I would love to know how you came to be aware of the season and times we live in. What is your own personal journey with the end times? Please say hello in the comments and share your story with me! Great job Hillary! I look forward to Sharing this with my children and their families. Many have walked a similar path and it is so very sad. Don't we praise Him that He gave us the truth and dispelled the darkness?!!!! Praise God for his unfathomable love! Yes, PRAISE God for His mercy and love and restoration! I am humbled everyday by His great kindness and faithfulness. He is truly so very good. Hi Hillary, God Bless you!!! I was saved as a child also. In recent years about the time comet Ison made its approach,The Lord began a work in me. I began reading again at Hebrews and read through Revelation. The Lord led me to different people that were giving out His word. Some of the people we share in common are Robert Breaker and Scottie Clarke. It is incredible how The Lord is showing us His Signs. None of these people or signs are revealed to us by coincidence. They are being shown to us by God Himself. The Lord said to watch, and again I say, watch. It is good to have a new Sister in The Lord to watch with. Amen. What a great testimony! Welcome sister. Thank you, Gary! It is a blessing to be here and I am grateful for all you have created, and for all the ways you serve, through this ministry. God bless you! I love the tender (and virtually instantaneous) ways our Father responds to you! What a beautiful story and I am so glad you shared it. And Eze. 33:33...wow. Encouraged to read your testimony and to be reminded of how God pursues us despite our total failure to pursue Him at times. I was saved at age nine, grew up in church, had some real high points in my faith and service to Christ over the years, but in the last four or five years or so found myself hanging by a thread to the hope of Christ. On September 20, 2017, a visit to youtube's webpage suggested a September 23 sign video. I had been totally unaware of the sign up to that point, but had previously been specifically praying for guidance about end times prophecy. Once I watched the video, I felt it was in fact the mega sign described in Revelation 12. I immediately sent it to my family who are Christians. A time of repentance for my wasted years followed, and now I boldly tell everyone I meet that Christ will return again and that they must be ready. My faith is strong, my heart is open and soft again, and I pray that somehow His church will become a sweet aroma to Him. May we all encourage one another and take every opportunity to reach the world around us while we have the chance. Thanks for reading, Miguel, and for sharing your own story. Like you, I am so encouraged to be reminded of how God remains faithful and draws us to Him, or back to Him, or wakes us up, whatever the case may be. I love hearing how you have boldness and strength of faith, that your heart is open and soft, and that you offer prayers for the church to be a sweet aroma to Him. In prayer I agree. God bless you, Miguel! Fantastic story Miguel. God bless you. Welcome, Hillary! I really enjoyed reading your post and look forward to reading your insight. Thanks for reading, Tony! God bless you! Very nice Hillary. I am so proud of and happy for you. Martin, so glad to see your face! Thank you for reading and sharing in this joy. Lots of love to you! I have been reading the bible for decades following His truth. I have had ups and downs as we all do. I realize like a lot do now that the only way we can be lead into all truth is to lay down our preconceived ideals. The spirit will always lead us there if we will lay down our opinion. Thanks and may His joy and peace guide you. So true, Chris. God resists the proud but gives grace to the humble. May you and I always have willing and humble hearts. Thank you for reading and sharing your wise words. Like you, I am longing to hear that shout: "Come up here!" Thank you for sharing your story. Wow, what a journey, to emerge from Catholicism and begin your quest for truth. I'm so happy to hear that the book LGPE made a difference for you! I understand your concern about the evil generation that seeketh after a sign. I'd encourage you to look at it in context, which is that His accusers were asking Jesus to prove who He was by giving them a sign. In other words, they did not believe Him or have faith. Thanks, Jeff! Those graphics are something, aren't they!? :) Made quite an impression on 7-year-old me. I just watched that movie this weekend... had never heard of it! Intense! Amazing to see it here... The song from the movie was surreal. Thanks for sharing part of your story Hillary... can't wait to read more while we wait. Thank you for sharing your story, Andrea! I love how the Lord drew you gently back to Him and restored your zeal. He is coming soon! Maranatha! Great to have you aboard Hillary! Beautiful story. Wonderful story Hillary, I was terrified of blasphemous words/thoughts against the Holy Spirit, so much as a teen that I went through depression and had to get on medication. The Rev 12 sign awakened me out of my slumber and nonchalant attitude towards end times things. Wow...I am so sorry you experienced that fear, too! Thank God for His lovingkindness and mercy, to draw us both into His awakening. Thank you for sharing this with me. May the Lord bless you with clarity, insight and wisdom to faithfully divide the word in all humility by the power His Holy Spirit. Thanks so much, Richard! Please pray for me, that the words I share will honor our Father and bless & encourage the Body of Chris, especially in these times. God bless you! What a blessing it is to learn from Robert Breaker! So glad you found him. Looking forward to reading more of your contributions. I agree...such a blessing to learn from Robert Breaker! Thank you for your kind welcome and God bless you! Revelation 12 also woke me up, brought me back after realizing living like I was wouldn't fulfill me. For years I've felt like a solitary row boat on the ocean floating without direction, in limbo. I finally realized that I had been living without God, without Yeshua, in my life. Without submitting to His will and living for myself like the foolish prodigal son. Blessed be our God for having the long suffering nature and patience He does to bring us back. I hope this position brings forth fruit from all in the body. Oh, blessed be our God indeed for His mercy and graciousness! I love knowing He used the Rev. 12 sign to wake you up, too, and it looks like it did for many others also. He is SO good. Thank you for reading and sharing this tender glimpse of your journey with me. God bless you. Hillary, your testimony is awesome! Thank you for sharing! God opened my eyes with the 2017 hurricane season. I heard Him tell me that he wants his children to talk about Him. I became so convicted and humbled! He started preparing my heart for this about 7 years ago, when my husband and I started studying 2nd coming prophesy with a coworker. God is so sweet and good! You are a blessing, Stephanie! I love your joy! God IS so sweet and good. I love knowing that you've been preparing for these times for the last 7 years. Our Father is so wise. Thank you for reading and for your kind words! wow, nice. what a trip! Your story reads very much like mine, although somewhat more compressed. I accepted Christ at 18, but then proceeded to hold the life of a sunday morning-only Christian for the next 10 years. Then God orchestrated circumstances over the next 10 years that taught me how personal He is, and that changed everything. Tough season, but I would not trade it... for where it not for that season, I would have not been able to "discover" eschatology at all. And WOW, has this opened up my eyes, and my ability to understand God so much more. Hello Bryan! Thanks for the laugh....I hope that too for obvious reasons. But this is a wonderful way to occupy until He comes, and I'm grateful for the space to do so. Thanks for sharing a bit of your story with me. Wow, God is so good and wise to use those circumstances to teach you things that He knew you'd need during these times. I look forward to checking out your blog! God bless you! Hi Hillary, love your testimony! Welcome aboard, and I look forward to hearing more from you! Shalom! Thanks so much, Sam! It's a blessing to be here! Sherry, you are so kind! Thank you for the warm welcome and I look forward to connecting more in the future. God bless you! Hillary, looking forward to your insights. While the anguish you grew up under is regrettable, in an odd way, it is encouraging to know that such families, although perhaps not quite balanced, hold firmly to their understanding of Scriptural admonitions while the world around us revels in ungodliness and entices us to join in. Clearly, our Lord has brought you full-circle, Praise Him, and gotten you into the FULL Gospel and I rejoice to hear your voice joining our choir! Maranatha! I wholeheartedly agree with you, Jimboni. There is much to be thankful for and I have no regrets other than that I've not done *more* for my Lord simply because I love Him so much. Your warm welcome really touches my soul! Thank you! Maranatha! Well Hiliary, nice to hear from you. My journey is likewise except my coming to Jesus was at 22 years old, the day America beat Russia in Ice Hockey in the Olympics. They called it a miracle on ice. I call it a miracle in a jail cell, I cried out to God and said "If you are real, take this from me I do not want to be this type of person!" (Thats a long story.) I came out CHANGED. Now I am 58 and still changed. So my brain wrestles with the shout, and the end of His grace. Very hard for me to understand. Cuz at the feasting table I really want no empty seats where my kids should be sitting. Thats tough. But as I have said just whats in my head. Even my children get to chose with wisdom. I think this is one of the greatest testimonies...He has saved you and He has kept you. What a faithful and gracious God we serve! But oh, how I understand the bittersweet nature of this as we see loved ones who have not put their trust in Him. No one is too hard or far away from God. His arm is powerful and long. Thank Him for all He has done and is doing, both seen and unseen, in the lives of your loved ones. He loves them even more than you do, and I know you would lay down your own life for them. Don't lose heart. <3 He is near. Hello Hillary, I appreciate your honesty in sharing your heart. I’ve been around a lot of years and I remember the thief in the night movie quite well. No one could watch that and not be somewhat moved. I have studied prophecy a lot of my years, and to make this brief, I believe the only things we are waiting for are the overnight total destruction of Damascus, the Psalms 83 war, and the rapture. The rapture will so startle the whole world that most people will eagerly imbrace the anti-Christ as he steps onstage very soon after. Hey Sister, I grew up in a Christian family that was sympathetic to a post-trib rapture doctrine but didn't take it as seriously as yours. I saw some pretty scary 'prophetic alerts' as a child but wasn't scarred for life, Praise God. I left home and went to College where I was exposed to intense reformed theology and basically had any trace of the Spirit ironed out of me. As the Spirit left, depression crept in and I lost my zeal altogether. I spent about 15 years living as a 'fake Christian'. Putting on a nice suit and saying all the right things but living a double life of sin. God awoke me during a Holy Spirit outpouring I accidently found myself in, in the middle of the Australian outback. After eating humble pie and finally seeking a baptism of the Spirit a lot of the fear of man was driven out of my life. I still never imagined I'd be a 'rapture guy'. Until in early 2017 a prophet gave me a word that I 'Belonged to the Daniel company'. He was referring to the prophet Daniel who was a 'wise man' of Babylon, which is funny as my name is also Daniel. I didn't think anything of it until I stumbled up a Robert Breaker's youtube video about Sept 23. Since then my wife say's I've spent countless hours researching on Stellarium. Anyway, hope you're encouraged. God bless. Oh my! I remember that movie! I was about ten when I saw it....and I was TERRIFIED. If I came home and nobody was there, I would break out in a cold sweat, shaking! Grace is a beautiful gift indeed! Looking forward to reading more from you. God bless. Hi sister Hillary! Great to read your testimony! Here's a bit of mine. I grew up with non believing parents in a little village in northern Lapland, Sweden. I had one Christian in my extended family, my Pentecoststalish grandma, whom I saw some weeks every year. Spent many of my childhood summers with her. God used her to introduce me to His reality. She prayed for and with me, read me stories of God's heroes and really dipped me into the world she was living in herself. When I was 11 (1975) I went to a church to see a movie grandma told me they were going to show there. It was "The Cross and the Switchblade". The movie's end gripped me to tears, when Nicky Cruz finally surrended to Jesus. The first half of my teen years was just a normal teen life. Faith in God was just a faint little spark somewhere on the inside of me. It was in my late teens I was drawn to God and realized I wanted to give my life to Him. I was baptised in water in 1983 and 18 months later in the Holy Spirit. I became an active member in the local Pentecostal church for 10 years. Then I left it and have been without a "home church" ever since. But I love small groups and house church fellowships. Late Sept/early October 2016 I came across Scottie's message on his videos and embraced it wholeheartedly. From there I found the other brothers with similar messages, like Mossbender, Prinsloo, Breaker and others. I joined the Signs and Seasons group and then saw this Unsealed site. Reading, thinking, listening and watching. Praise be to our Father and The One He sent, Yeshua HaMashiach! Soon upwards to our new well prepared home! Maranatha! Loved hearing of your spiritual journey, Hillary! And thank you for asking about ours. I won't start at the beginning of mine but will only go back to the 90's when the Holy Spirit led me to speak a word of warning to the church my family and I were attending which was that a time of great shaking was coming--everything that could be shaken would be shaken! This happened again at the next church in which we had fellowship with after moving AND AGAIN with our next move! The message was an urgent one. Its urgency faded in me but I never forgot it. Then about two years ago, it was as though the Spirit of the Lord turned a switch to ‘ON’ inside me and I KNEW the Rapture was critically close at hand! I dove headfirst into studying a section of the Bible I had read through only once—the Book of Revelation—and prayed for understanding and for the Holy Spirit to guide me to reliable commentaries. I had already been a student of the Scriptures for decades but never studied eschatology that much.